Go ahead and eat those carbs! Who says that pasta can't be healthy? With a little finesse and strategically chosen ingredients, it is possible to prep plenty of good-for-you pasta recipes that are as delicious as they are easy to make. Just don't overdo it on the portions! 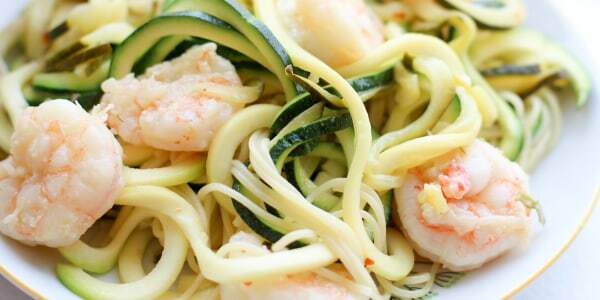 Whether you're following a low carb diet (zoodles, anyone?) or looking to create a leaner menu (like swapping turkey for pork or beef) we've got you covered with this list that's great for a variety of healthier-eating plans. From creamy Alfredo pasta to a lighter take on spaghetti alla carbonara, here are 14 healthy pasta recipes that are perfect for weeknight dinners or weekend entertaining. Cookbook author and TV host Katie Lee told TODAY Food that she loves this dish because it's "rich, delicious, healthy and satisfying." She uses a base of spaghetti squash which is full of fiber and vitamins and only has 42 calories per cup. 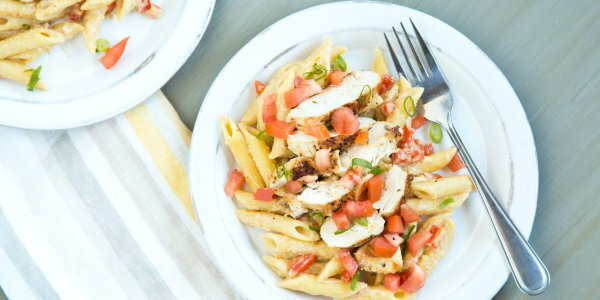 Cajun chicken pasta is a mainstay on fast-casual restaurant menus, but it's surprisingly easy to make the creamy and spicy dish a whole lot healthier at home. 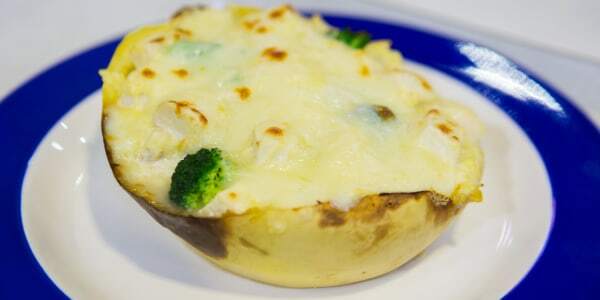 This version clocks in at 450 calories per serving and is a healthier way to satisfy a carb craving. 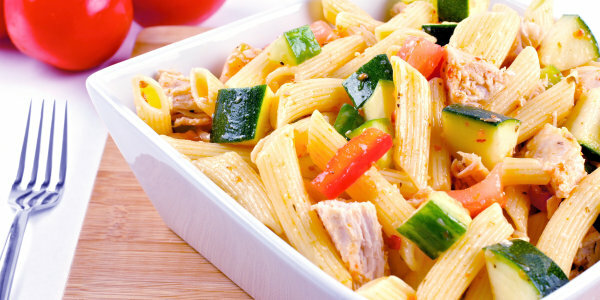 "This healthy pasta is bursting with fresh veggies and lean protein," Dr. Mehmet Oz told TODAY Food. "It will satisfy your carb cravings, provide a variety of vitamins and nutrients ... and it will fill you up without weighing you down." 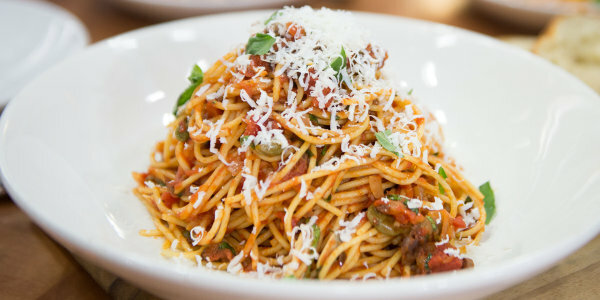 The combination of olive oil, garlic, tomato sauce, anchovies, olives and oregano creates a ton of flavor with very little fat in this classic Italian pasta dish. 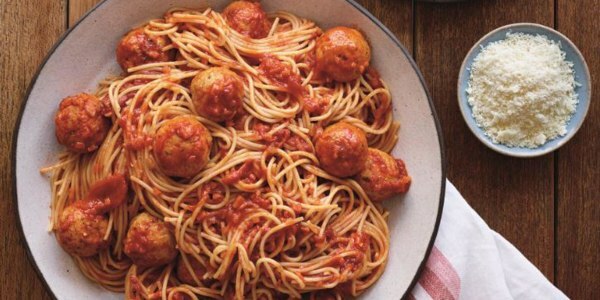 "You can't be a meatball denier — you gotta have meatballs in your life," restaurateur Joe Bastianich told TODAY Food. He's the son of star chef Lidia Bastianich so he knows a thing or two about making delicious Italian food. He skips the frying pan and bakes his turkey meatballs for 20 minutes before throwing them in the sauce to finish cooking. 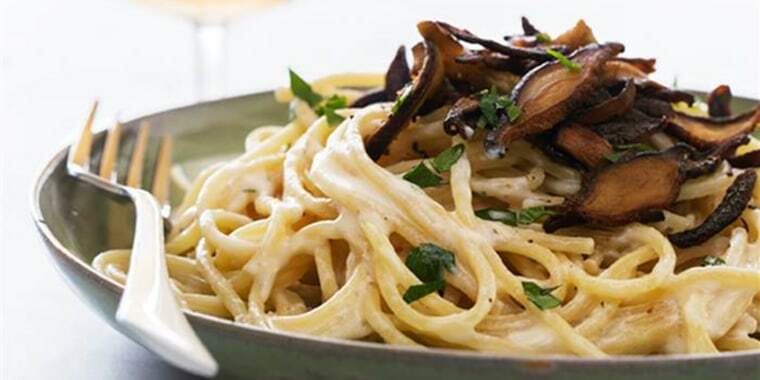 It is possible to make a super creamy Alfredo sauce without any cream thanks to a puree of sauteed cashews, shallots and garlic. This vegan pasta is a great way to cut out some cholesterol and saturated fat from the classic comfort food. The shiitake mushroom "bacon" is so smoky and crispy that no one will miss the meat in this creamy pasta dish. "Eating dairy-free or vegan food doesn't mean you have to miss out on your favorite flavors and textures," vegan chef and cookbook author Chloe Coscarelli told TODAY Food. 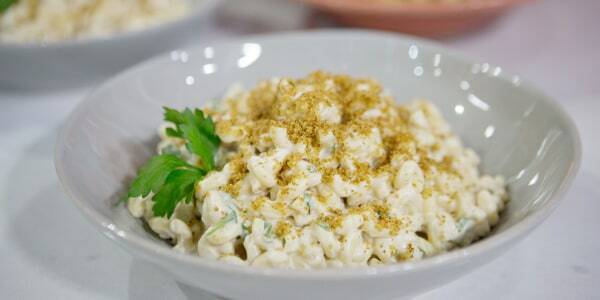 "This recipe has all the rich and creamy goodness of traditional macaroni and cheese without the fat and calories." Coscarelli balances out any bitterness from the Brussels sprouts with one very surprising sweet ingredient. Hint: it's usually served on top of pancakes. "Zucchini is a great add-on to pasta and the flavor pairs especially well with shellfish," Lidia Bastianich told TODAY Food. 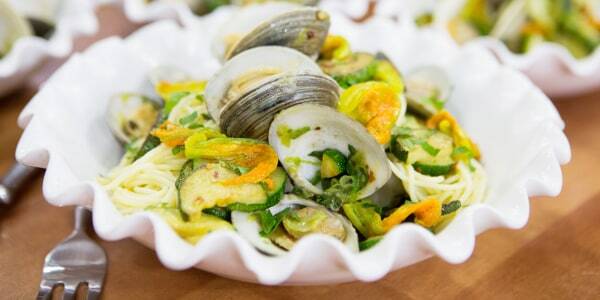 Cleaning clams may seem like a difficult task, but she has a trick that makes it super easy: "Set the clams in a container with enough cold water to cover and let them sit for 30 minutes in the refrigerator; they should spit the sand out." Love zucchini? Another great way to make a pasta dish healthy is to substitute regular pasta for vegetable noodles, like zucchini noodles, aka zoodles. 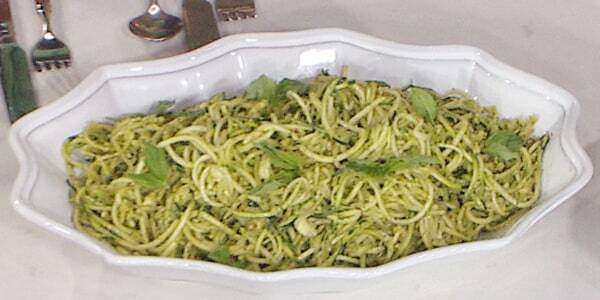 Zoodles are thin veggie strands that are made by passing zucchini through a spiralizer. 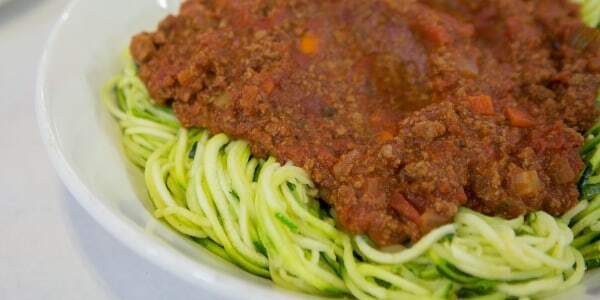 "Hungry Girl" Lisa Lillen likes to serve zoodles covered in a lightened up (yet totally satisfying) Bolognese sauce that's made with extra-lean ground beef. Spiralized yellow squash is also a great alternative to zoodles — or try a combination of the two for a variety of color and texture. 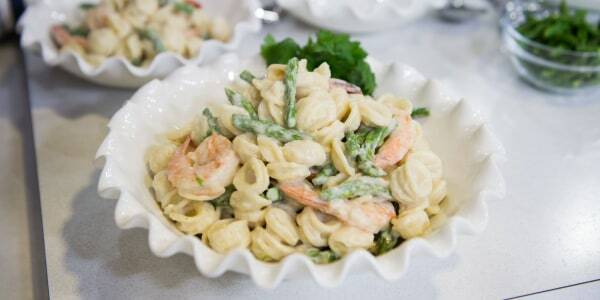 Either way, the veggies are a delicious base for the garlicky shrimp in this dish. "This dish came about as a way to satisfy pasta cravings in a more nutritious way," said TODAY's Natalie Morales, who released her first cookbook this year. "It's one of my favorite original recipes!" Yes, it's possible to make pesto with an avocado. And it's absolutely amazing. 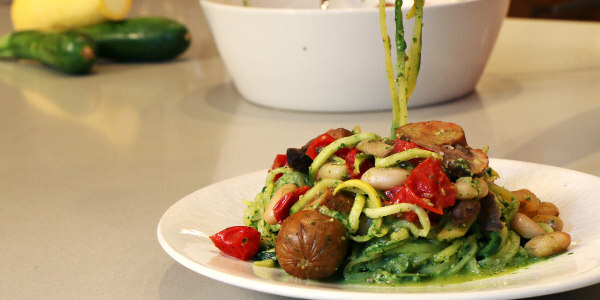 The popular fruit creates a creamy sauce that's especially good with zoodles, but also tastes great with soba noodles.